Ocean Reef of San Marcos, Calif., is recalling about 1,000 Neptune Space Integrated Diving Masks. 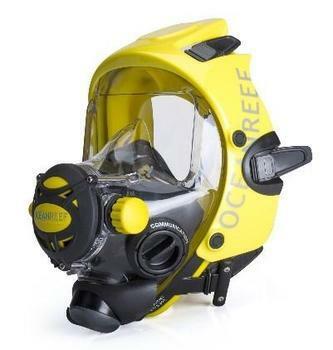 This recall involves Ocean Reef’s Neptune Space Integrated Diving Masks. The full face SCUBA masks come in a variety of colors and sizes, have a bellows style face seal, molded from silicone rubber, and use a "spring profile" and sealing surface. The diving masks, manufactured in the U.S., were sold at diving stores nationwide and online at www.oceanreefgroup.mybigcommerce.com from March 2018, through November 2018, for between $700 and $1,600. Consumers may contact Ocean Reef at (800) 922-1764 Monday through Friday from 8 a.m. to 4 p.m., by email at operator@oceanreefgroup.com or online at https://oceanreefgroup.com and click on “Recall Information” at the top of the page for more information.